Schwartz & Wade, 9780553522280, 32pp. 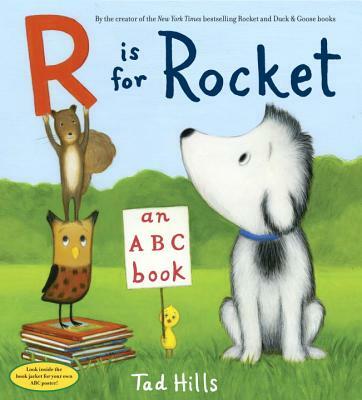 Tad Hills is the author and illustrator of How Rocket Learned to Read; Rocket Writes a Story; Duck & Goose; Duck, Duck, Goose; and Duck & Goose Go to the Beach—all New York Times bestsellers. His Duck & Goose board books include the ALA-ALSC Notable Children’s Book What's Up Duck? and the Indie bestsellers Duck & Goose Find a Pumpkin and Duck & Goose, Here Comes the Easter Bunny. His Rocket books include two leveled readers, Drop it, Rocket! and Rocket's 100th Day of School.